JEDDAH: The King Abdullah Zamzam Water Project has officially begun producing 5-liter Zamzam water bottles. 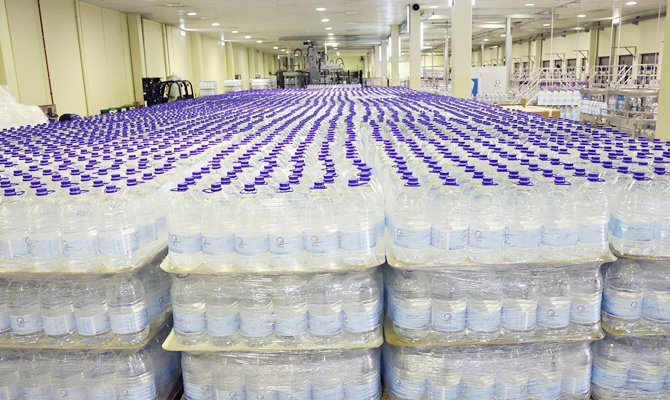 The National Water Co. (NWC), the main operator of the King Abdullah bin Abdul Aziz Zamzam Water Project, has announced the standardization of Zamzam water bottles to a capacity of only 5 liters instead of 10 liters. The new packaging is part of the project’s recent transformation plan in line with Vision 2030 to meet the increasing demand on Zamzam water throughout the year, especially during high season months, which are expected to witness a rise in the number of pilgrims and visitors in the coming years. The NWC pointed out that it aims to ensure the sustainability of the service provided to pilgrims, adding that the change in the size of containers will help to meet all these requirements. The NWC and the King Abdullah bin Abdul Aziz Zamzam Water Project urged all pilgrims and visitors not to deal with street vendors and to get the 5-liter Zamzam water bottles from the official sources, which are available at the project site in Kudai and at airports to ensure the safety and quality of the blessed water. Riyadh — The Shoura Council is studying a recommendation to keep shops open during prayer times, Assistant Chairman of the Council Dr. Yahya Al-Samaan was quoted as saying in a section of the Arabic press on Sunday. He said there are certain conditions for taking up the recommendation for study. It should not clash with any previous recommendations or decisions. A special 5-member committee is being selected to study this proposal. where they can review service packages, choose a package and apply for visas electronically. RIYADH: Electronic visas for Hajj and Umrah pilgrims will be issued within minutes for various Hajj/Umrah campaigns and companies under plans by Saudi Arabia’s Ministry of Hajj and Umrah. “Pilgrims who are coming from outside the Kingdom are tied to Hajj and Umrah service-providing companies and agents in order to obtain a visa. The electronic visas will be issued to these entities who will be licensed to facilitate Hajj and Umrah in these countries,” Abdulrahman Shams, an adviser to the minister of Hajj and Umrah and general supervisor of Hajj and Umrah’s electronic platform, said on MBC. Shams said the electronic platform will include new services that will give non-Saudis access to the e-portal, where they can review service packages, choose a package and apply for visas electronically. “We are working closely with the Ministry of Foreign Affairs and the Ministry of Interior to issue visas electronically, within minutes of completing the required forms, and without the need for passports to go through embassies,” he said. The move will help encourage greater numbers of pilgrims, he added. Saudi Arabia has issued over 4.33 million Umrah visas this year. The ministry’s move helps facilitate pilgrims’ journeys and minimizes pre-planning. 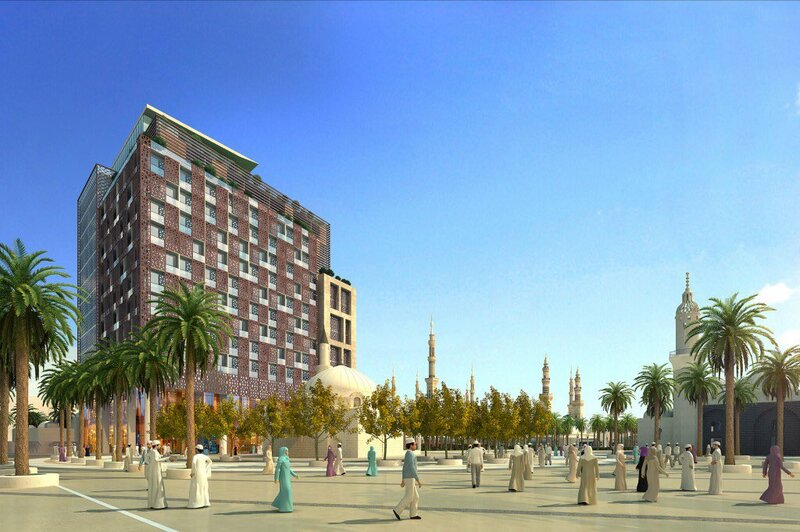 Under Vision 2030, the Kingdom hopes to attract more than 30 million Umrah pilgrims and provide them with top-class services. In January, the ministry updated its online portal to support foreign pilgrims. Almost 1.1 million Muslims used the Maqam online portal in its trial phase last year, allowing them to choose between more than 30 companies providing travel and accommodations for trips to Makkah and Madinah. The ministry has been discussing incorporating e-services since November 2018. Abdulaziz Al-Wazzan, the deputy minister of Hajj and Umrah, said the initiative aims to make visas more accessible to pilgrims, while also contributing to an increase in pilgrim numbers. 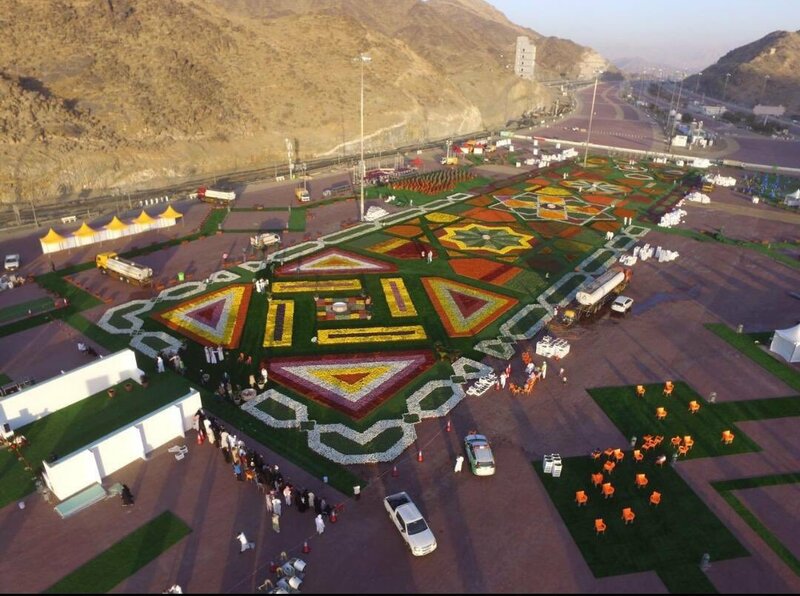 MAKKAH: A carpet of flowers featuring 1 million blooms will be one of the main attractions as Makkah hosts its first flower festival. The event, which begins on Tuesday at Muzdalifah, has been organized by the city’s municipality in cooperation with the Arab Urban Development Institute and King Saud University. 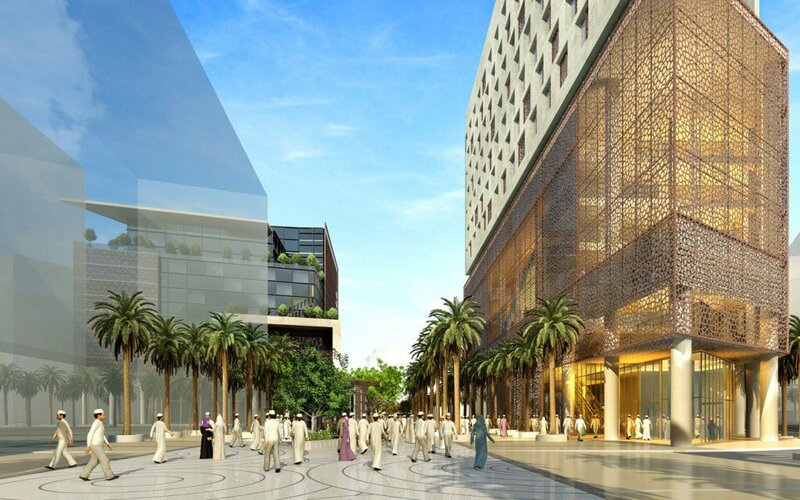 It will be officially opened by Makkah Gov. Prince Khalid Al-Faisal. Raed Samarqandi, the director of the municipality’s department of media and publications, said that the festival is unique and has serious objectives. “It aims to improve the environment, fight pollution and show an image that suits the value of the city and its holy sites,” he explained. “The festival will coincide with the 20th symposium on afforestation, titled “Suitable afforestation for the environmental conditions of Makkah — the central region and holy sites,” on March 19 and 20. 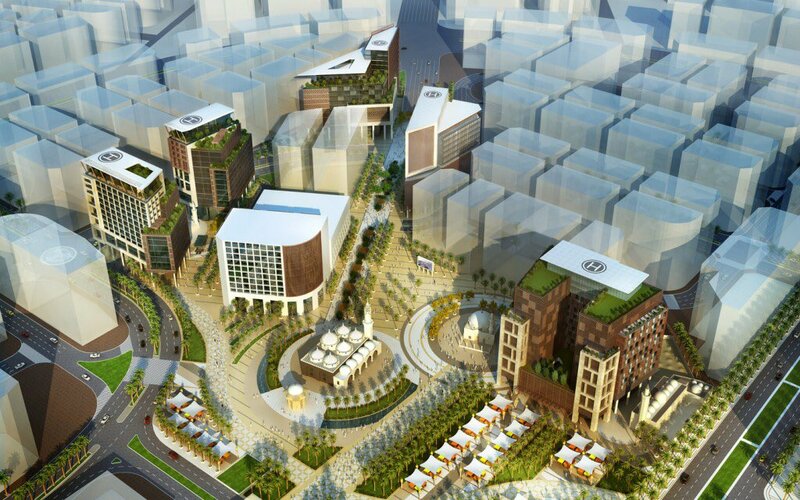 The symposium will feature representatives of governmental sectors and scientific bodies and include discussion of papers addressing many the issues in the city, such as the state of afforestation in Makkah, the latest techniques in environmental planning, and the design of green spaces such as parks, gardens and squares. Makkah Mayor Mohammed bin Abdullah Al-Quwaihes has invited speakers from the private sector, universities, research centers, and agricultural and afforestation companies to contribute and help raise awareness of these local issues. The flower festival continues until March 23. Doctors threaten to boycott these missions. HEALTH - The decision displeases doctors in the public sector. On March 20, the Minister of Health, Anass Doukkali, issued a circular modifying another dated January 29, concerning the constitution of health missions accompanying Moroccan pilgrims. The amendment concerns the criterion of age, which is no longer limited to 58 years but rather to 50 years. A change made at the request of the Ministry of Islamic Affairs, according to the references contained in the circular quoting a letter from the department of Ahmed Taoufik dated 13 February. The Minister of Health had to extend the application period for these missions on the 29th of this month, recalling that "the fundamental mission of these missions is to supervise, watch over and serve the Moroccan pilgrim". "Does this mean that health personnel over 50 do not have the capacity to carry out this mission? If this is the case, you only have to allow them to retire early, "writes the secretary general of the National Health Union, affiliated to the CDT, Dr. Mustapha Chennaoui, to the Minister of Health. A letter in which this union expresses its astonishment at "an unpredictable decision", considering that changing the age criterion is a form of discriminatory sanction against those who have dedicated their lives to the service of public health. "We sent our letter to the minister yesterday. He has not acted yet, but we believe his decision is arbitrary, "said Dr. Chennaoui, who is also a member of the Federation of the Democratic Left (FGD). For the latter, reviewing this decision is necessary at the risk that these medical missions in Mecca are boycotted. "The Ministry of Islamic Affairs does not have to impose its guidelines arguing that the staff must have the physical strength to remain in the service of pilgrims 24 hours a day. The Minister of Health has not defended his staff, "said Dr. Chennaoui. The latter believes that nothing justifies this new age criterion. "Every year, in regions that suffer from cold waves, which are landlocked, are doctors and nurses all under 50?" Asks the MP convinced that the decision is both "unfair" and "unfounded". If this criterion is maintained, doctors will not hesitate to brandish the boycott of these missions. The National Office of the Independent Union of Public Sector Physicians issued a statement this Friday to warn of the tension it could provoke. "The criterion of age has never been in contradiction with the competence required in this mission", denigrates this union, calling these doctors to "boycott the candidatures during this additional period in solidarity with those who had already deposited theirs" . Indeed, this decision automatically requires the review of all applications filed since the end of January and the elimination of all those whose age exceeds 50 years. "In each province, the delegation receives applications according to the quota it has. Once the collection of applications is over, a commission proceeds to their treatment, "says Dr. Chennaoui. And to emphasize that the selection eliminates, in principle, those who had already participated in these missions as well as specialists. "It is mainly the doctors who take care of ambulatory care in emergencies that are taken, because the work with pilgrims is a daily service," he adds. Between 200 and 300 doctors and nurses would participate annually in these missions to accompany Moroccan pilgrims. MAKKAH — A video being widely circulated on social media over the past two days showing tractors trashing millions of flowers following the first ever flower festival organized in the holy city sparked public anger. 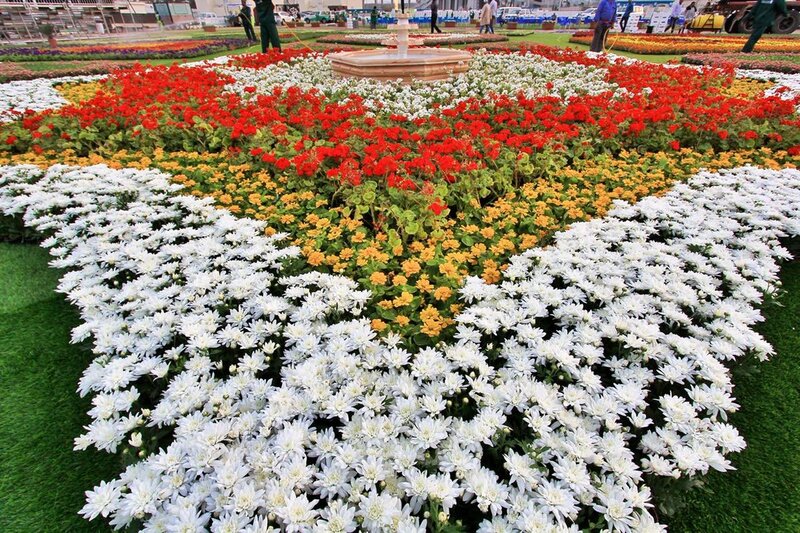 The municipality had created a flower carpet as part of the event. Many people on social media criticized the municipality’s decision to destroy something that was so beautiful in an unprofessional way. 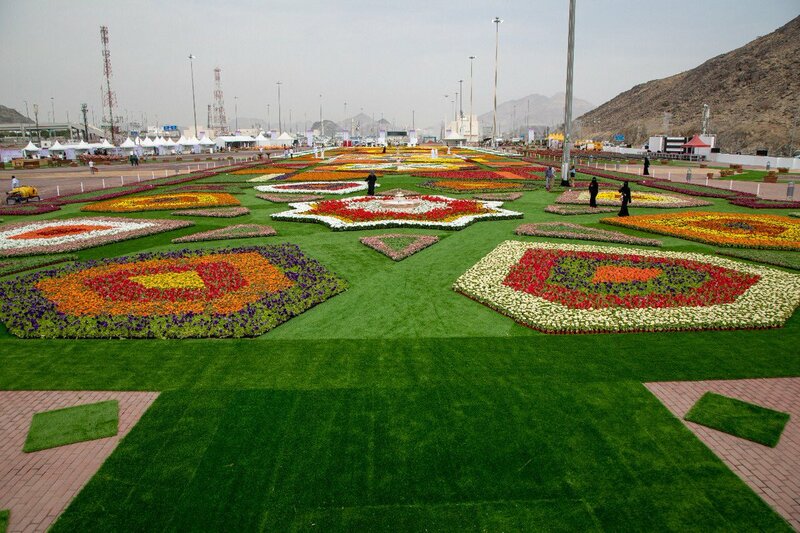 Raed Samarkandi, official spokesman for Makkah Municipality, said only 10 percent of the flowers used for making the flower carpet that was removed. He said the remaining 90 percent was either distributed among residents and visitors. Large quantities of these flowers were taken to be planted in public gardens elsewhere in Makkah, Samarkandi said. He added that there was nothing illegal in the way the flowers were removed. 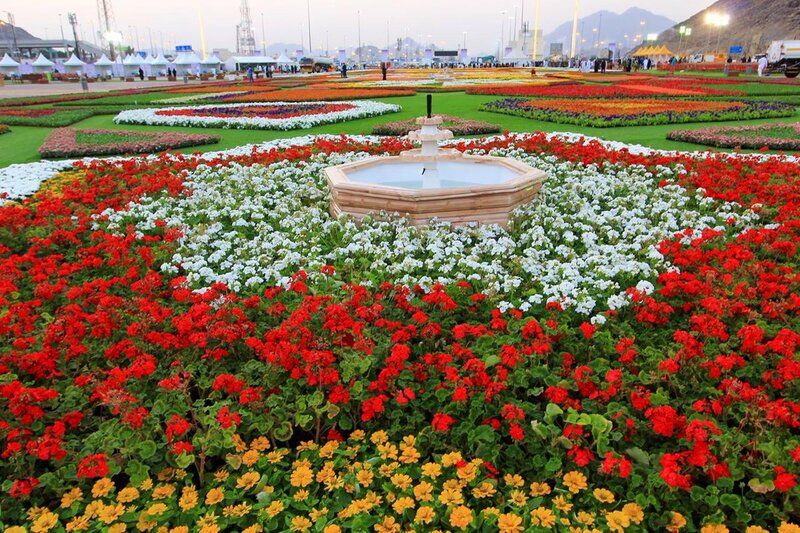 However, many people criticized the municipality saying even if only 10 percent of the flower carpet was removed, they could have disposed of the flowers in more professional way instead. They said the municipality could have distributed the flowers among schoolchildren in the city or could have planted them in as many locations as possible. They questioned the act of trashing a million flowers, describing it as a waste of public money. The flower carpet was 185 meters long and 45 meters wide and was made using more than a million flowers. 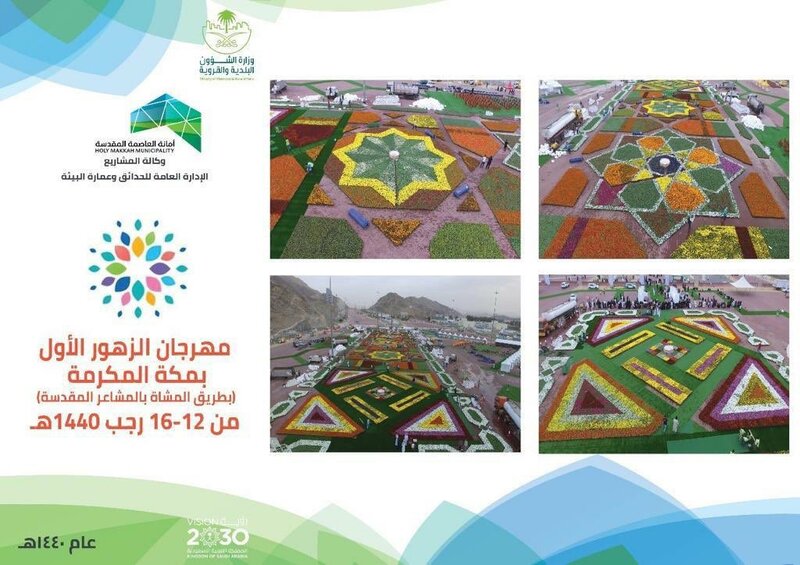 The flower festival was organized by the Makkah municipality in Muzdalifah. of the Holy Mosque is currently being installed, reflecting the great interest of the state. 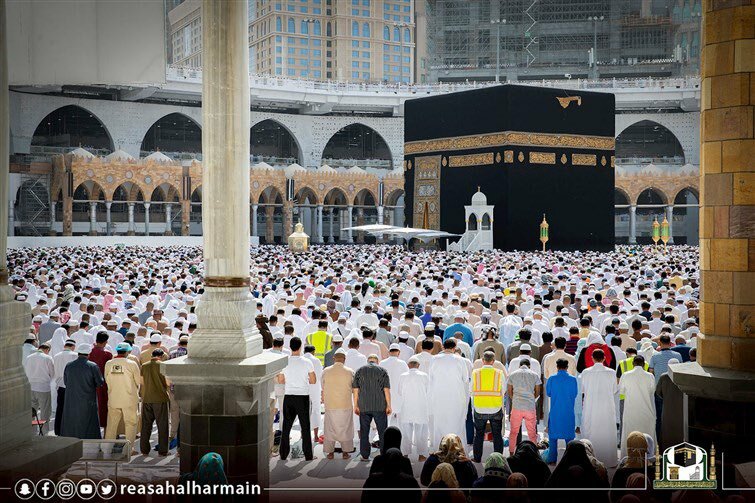 RIYADH — The Ministry of Islamic Affairs, Call and Guidance has set regulations for transmitting Adhan (call for prayer) and prayers via external loudspeakers, Saudi Press Agency quoted the spokesman of the ministry Abdulaziz Bin Saud Al-Askar as saying on Thursday. Al-Askar stressed that the ministry has specified the regulations for loudspeakers in small and large mosques during the holy month of Ramadan only, in line with the circular in force for many years and is updated every year. The regulations, Al-Askar mentioned, include: The number of external loudspeakers should not exceed four, the volume level should not exceed 4, as mosques are close to one another. The objective is also to prevent disturbing people and confusing worshipers in other mosques. The prohibition on using external loudspeakers is only for Taraweeh and Qiyaam prayers in the Furoodh (obligatory prayers) mosques. Their use is restricted to large mosques (jawamea), but this should not be in an exaggerated fashion. This is what is being practiced all these years in line with the circular which is updated annually, Al-Askar asserted. MADINAH — The General Presidency for the Prophet’s Mosque Affairs said it was continuing efforts to combat the swarms of black crickets, in cooperation with the municipality, the Ministry of Health and the Ministry of Agriculture. More than 150 municipality employees equipped were deployed to spray the areas around the Prophet’s Mosque with pesticides and collect the dead crickets in special bags. They also monitor the movement of these bugs on the roof of the mosque. They have also closed the domes of the mosque to prevent these bugs from getting inside. The agency also reduced the lights around the mosque, which attract the bugs. The presidency employed a number of employees around the gates with special vacuum machines for the suction of insects. They also filled any gaps inside the mosque’s walls and pillars with silicon to prevent the bugs from hiding inside. They agency said they will continue to work around the clock to finish these bugs and ensure the comfort of worshippers. LAHORE, PAKISTAN: Saudi Arabia’s mission is “the message of peace, security and stability to all the peoples of the world,” Sheikh Abdullah bin Awad Al-Juhani, the imam of the Grand Mosque, said. Al-Juhani’s comments came as he inaugurated the Holy Qur’an channel in the Paigham network, an Islamic educational media group supervised by the Ahl Al-Hadeeth Central Association in Pakistan. Nawaf bin Said Al-Malki, Saudi ambassador to Pakistan, and Sajid Mir, chairman of the Ahl Al-Hadeeth Association and member of the Pakistan Senate, attended the inauguration along with officials and heads of Islamic associations. The ceremony took place at the General Assembly of the Ahl Al-Hadeeth Association in Lahore. Al-Juhani stressed on the importance of the media in spreading the Islamic call, and highlighting the true image of moderate Islam, which fights extremism and terrorism. The Kingdom under the leadership of King Salman and Crown Prince Mohammed bin Salman “seeks to promote good deeds to the whole world,” he said. “The Kingdom’s mission is the message of peace, security and stability to all the peoples of the world,” he added. Al-Juhani said that the Kingdom has always stood by Pakistan and its people in all matters, including cooperation in the service of Islam and Muslims. He praised the efforts of the Kingdom and its leadership to distribute and spread the Qur’an, and support those who work in this field.